Categories: Freebies, Skins no comments. 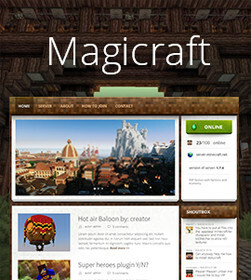 Magicraft is easy to use wordpress theme for presenting Minecraft server online. Includes online status, skins, customizer.